“La Collection Magique” embodies two special artisan blends of Pinot Noir. “La Nuit Magique,” or “The Magic Night,” refers to the defining moment when one falls in love with Pinot Noir – that Magic Night when wine transcends the moment and becomes immortalized as one of life’s great wine experiences. “Le Jour Magique” or “The Magic Day” refers to this white Pinot Noir that is light as day, yet magically—Pinot Noir. 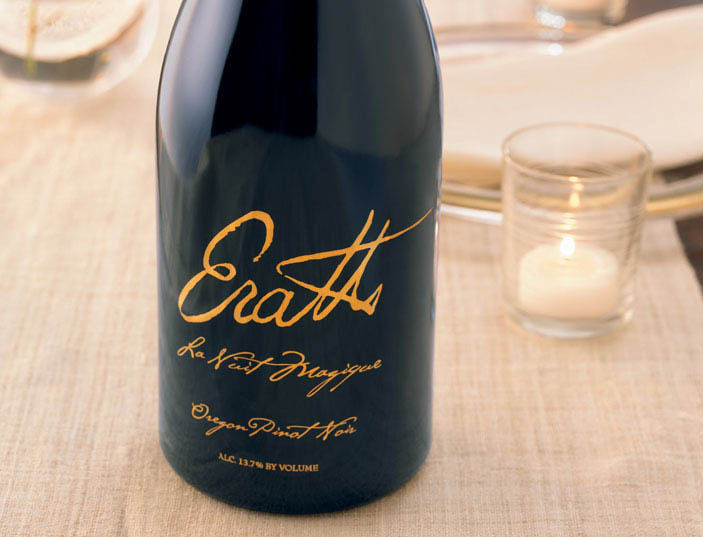 These unique selections are handcrafted from the finest barrels in the entire Erath cellar and produced in limited quantities.